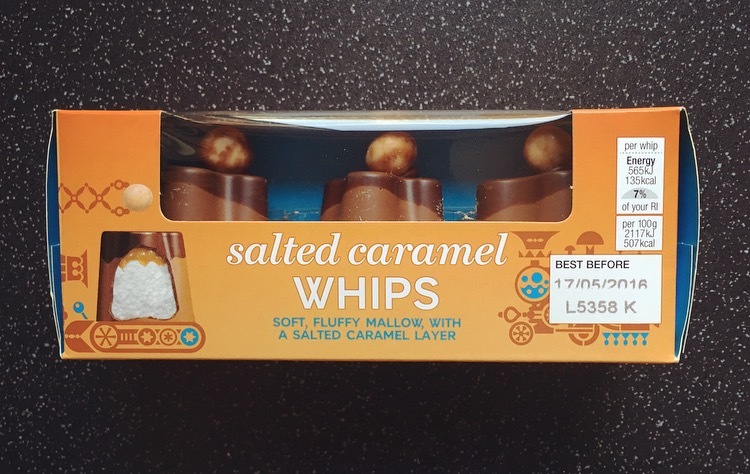 I first spied that Marks & Spencer Salted Caramel Whips were a reality when the King of snack finding Kevvie Kev over at Kev’s Snack Reviews reviewed them way back when. From that day on I was one eager beaver to find these and finally managed to get my hands on some. So lets whip on into the weekend with these Salted Caramel Whips. Breaking all shape barriers, gone are the smooth rounded shape you find with the classic Walnut Whip, here we have some kind of wibbly wobbly misshapen Whips that makes them a wee bit funky. 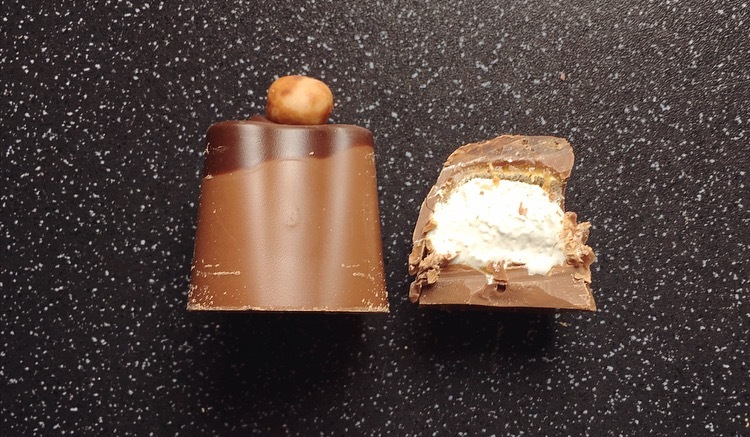 Getting stuck in the milk chocolate was a thick creamy barrier for the sticky gooey marshmallow inner. 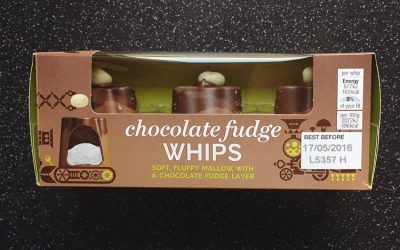 The chocolate was a good quality and seemed far creamier than a standard Walnut Whip and to me was the dominant component of the whole Salted Caramel Whip. The marshmallow was sweet yet didn’t really bring much to the table and seemed to just evaporate. 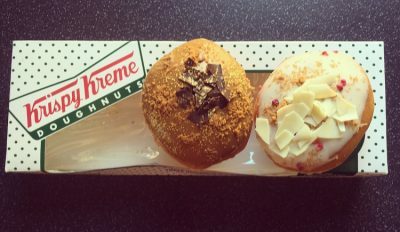 The caramel was sticky, sweet and a nice addition but unfortunately we have a no salt, salted caramel situation here. What with the triple whammy of sweetness from the milk chocolate, caramel and marshmallow, the dark chocolate is slightly redundant and the whole thing is crying out for more bitter dark chocolate. Marks & Spencer have certainly given it a go to give a Walnut Whip a twist and it does work. Albeit I cannot distinguish the salt in the salted caramel, it is still a nice alternative to the original but not one I would buy again. If you are going to give these a go the only thing I would say is be prepared for the sweetness! Keep your eyes peeled on the blog for another Marks & Spencer Whip addition! I thought these were ok but the chocolate fudge ones are a game changer!